I am new to this thread and I need some help. I was recently in a minor accident last Sunday and damaged my right upper cowl on my bike. I attached the picture below just to give everyone here a visual of what is missing. I did piece it back as much as I could temporary so I can still ride it. I am looking for anyone here who is either parting out an old CBR 600 F2 or if anybody knows of a good website where it doesn't cost a lot to replace. Right now I am being quoted for $130 just for the cowl piece on ebay from an aftermarket fairing company in China. I haven't been lucky enough to find a used upper cowl on ebay. I've also looked on bikebandit.com and they want around $350 just for that piece. Hey Colin, finding fairings in decent shape for these old things can be difficult sometimes, but you just have to keep scouring eBay and Craigslist, and as Wheelnut advised, check the forum's sale threads as well. I would NOT recommend getting a piece from a Chinese seller, unless you are quite handy at modifying plastics in order to get a good fit - I have installed two different Hong Kong fairing kits on an F2, and I've made them work, but it can be quite a hassle, and can involve A LOT of finessing for a proper fit. 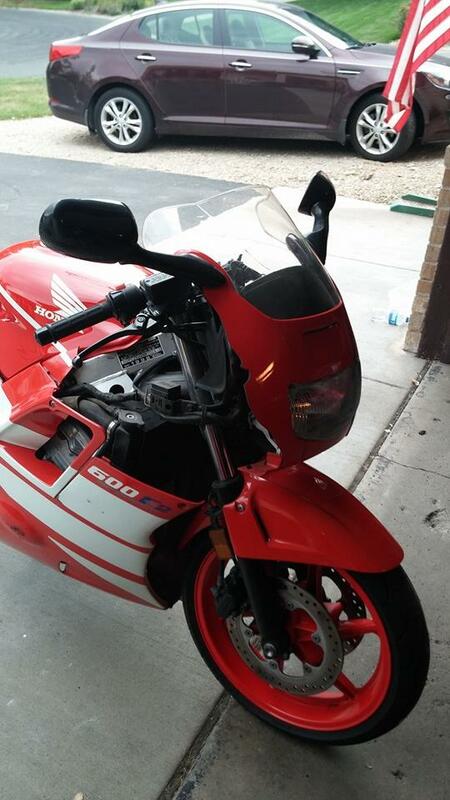 If I were you, and needing to replace a body panel, where the rest of the fairings are OEM, I would hold out to find a used OEM piece for a decent price, and paint it to match, as that will be the best for getting things to fit together, and look right with regards to alignment and whatnot. Anyway, good luck with getting this thing fixed!